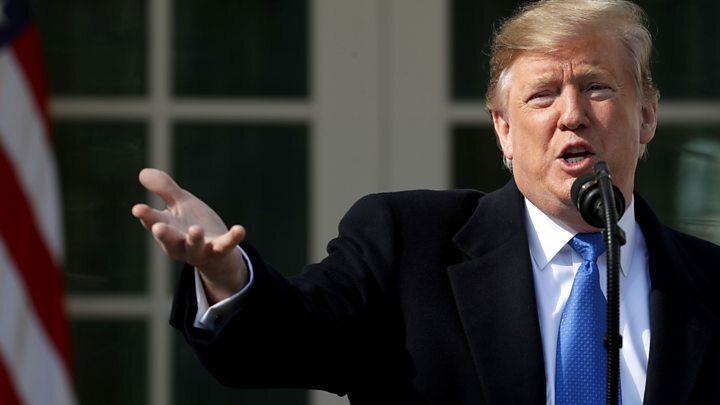 Fifty-eight former US national security officials have rebuked President Donald Trump's national emergency declaration to build a border wall. Their joint statement said "there is no factual basis" for an emergency at the US-Mexico border. Former officials from both parties have signed the letter, including United Nations Ambassador Thomas Pickering and Secretary of State Madeleine Albright. Mr Trump declared an emergency after Congress refused to pay for the wall. "Under no plausible assessment of the evidence is there a national emergency today that entitles the president to tap into funds appropriated for other purposes to build a wall at the southern border," the statement said. "In the face of a nonexistent threat, redirecting funds for the construction of a wall along the southern border will undermine national security by needlessly pulling resources from Department of Defence programmes that are responsible for keeping our troops and our country safe and running effectively." The officials also note that contrary to Mr Trump's repeated claims of an illegal crossing "crisis" involving violent criminals and drugs, border crossings are near 40-year lows, and most illicit substances cross through legal ports of entry. "This proclamation will only exacerbate the humanitarian concerns that do exist at the southern border," the statement said. "There are real humanitarian concerns at the border, but they largely result from the current administration's own deliberate policies towards migrants." Secretary of State John Kerry, Defence Secretary Chuck Hagel, CIA Director Leon Panetta and National Security Adviser Susan Rice from the Obama administration have signed the letter. The 11-page statement comes a day ahead of a congressional vote to block the declaration - one Mr Trump has promised to veto. 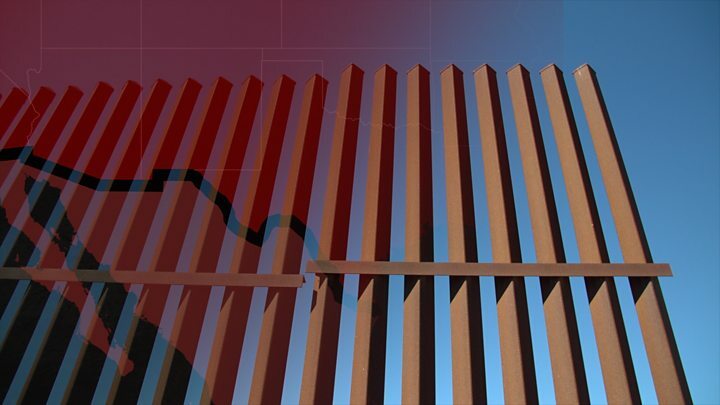 A coalition of 16 Democratic-led states are also suing Mr Trump's administration over what they call his "misuse of presidential power" regarding the southern border wall. On 15 February, after a record-long partial government shutdown, Mr Trump signed an emergency proclamation in order to obtain $8bn (£6bn) in funding for his border wall from military sources after Congress failed to approve his requested $5.7bn.